Your e-mails, voicemails and requests! Dan Potter is headed off early to Pasadena, California's Rose Bowl Stadium for the DCI at AmericaFest event taking place on Independence Day. 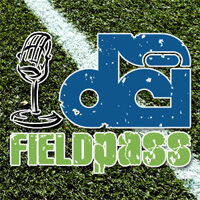 So today's "Fun-and-Games" edition of the Field Pass is all up to you ... your e-mails, voicemails and requests. Subscribe to this podcast through iTunes.